On 12 April, six days before the General Election was announced, the Evening Standard published an article quoting Theresa May stating that toxic air pollution is the fourth biggest public health risk behind cancer, obesity and heart disease. 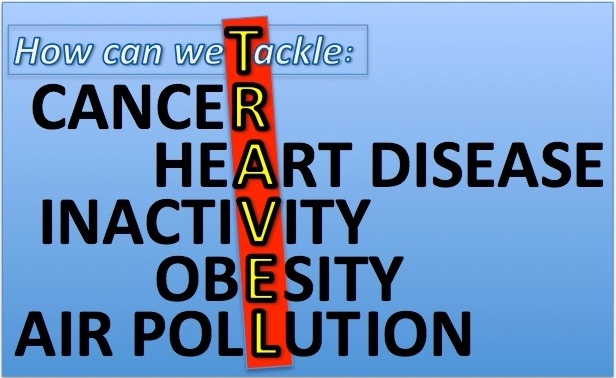 by changing how we travel. It is also true for cancer and heart disease. On 20 April 2017 the BBC reported on a study of 250,000 people over 5 years showing how much cancer and heart disease figures could be reduced by if people walked or cycled to work. This found that “regular cycling cut the risk of death from any cause by 41%, the incidence of cancer by 45% and heart disease by 46%.“, while walking to work reduced the risk of death from heart disease by 36%. Inactivity has been shown to be responsible for many more early deaths than obesity. 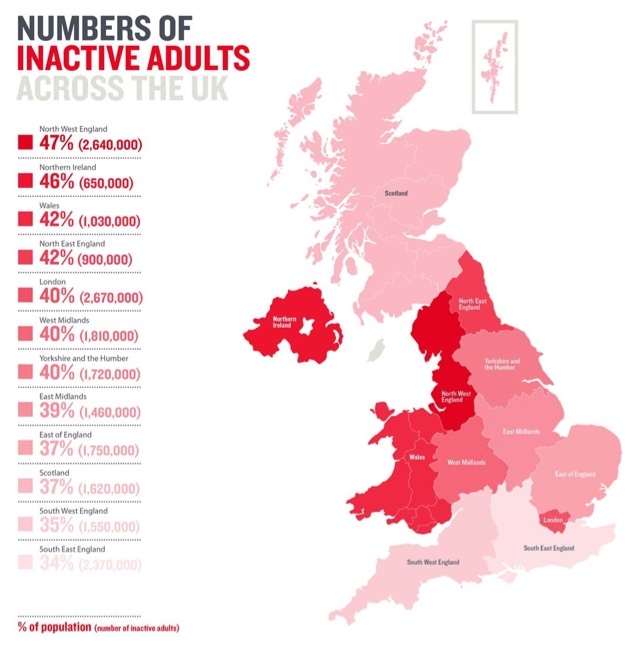 According to the British Heart Foundation Physical Activity Report 2017 42% of adults in the North East are classed as being inactive. Walking or cycling to work can also cut the chances of developing diabetes by 40-50% as well as reducing the prevalence of dementia. In our blog Blue House – at what cost to health? we set out some of the other health risks of pollution including: reduced lung capacity and cognitive delay for children and links to dementia, infertility and sperm damage. 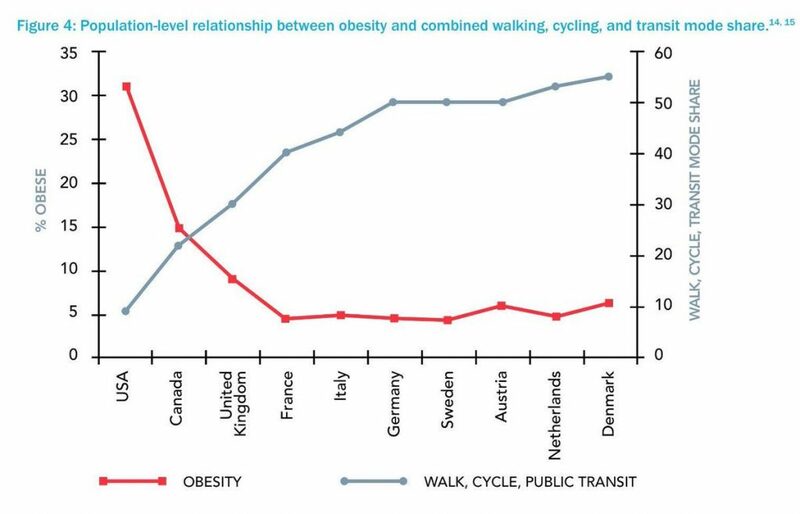 All these reasons show why the new Cycling and Walking Investment Strategy (CWIS) and associated investment is so important. This doesn’t have to take a generation but it does require ambition. In Seville, the actions they took led to the number of bike trips multiplying 11-fold in a just few years. By contrast the UK CWIS states the aim that it “wants cycling and walking to become the norm by 2040” – about 20 years slower (and with 20 years of lost benefit) compared to what has already been achieved by Seville. Taken together, the benefits associated with walking and cycling schemes are typically far greater than those for other transport projects, potentially worth a £17bn saving for the NHS. They are also financially achievable within the existing transport budget by diverting spend from projects with lower returns on investment. You can respond to the Government consultation on air pollution up to 15 June 2017. And please keep sharing your thoughts on how we can improve Gosforth to encourage more people to walk (or cycle) via our National Walking Month post. This is a reference to a related study.